I am a nerd and don’t try to hide this fact. I’ve watched Dr. Who since I was in 8th grade and have seen all the doctors. When the show came back I really enjoyed Christopher Eccelston as the Doctor and was bummed he only did one season. Enter David Tennant. It took a couple episodes but I grew to love this Doctor as well. Well, now the new series is on Doctor Three, played by Matt Smith. When I first saw photos I thought “he’s really young and punky looking”, but I reserved judgment. I trust the people who do the show, after all, I’m a fan and love them all. So as the first episode started it seemed right off that production values were even higher. We see the Doctor pretty quickly and it is obvious that he is getting used to his new body and Smith played it perfectly. By the end of the first episode I am hooked. Smith is indeed The Doctor. 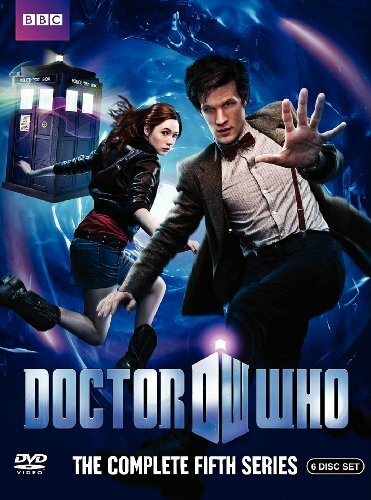 I also really like the new companion Amy Pond played by Karen Gillan. Previous companions were good, but all of them had over bearing mothers, I think maybe someone who was producing had some issues with a mother in law. The new produces have no such issues and Amy is an orphan. And she’s a very strong smart young woman who is also engaged. I don’t want to give much away, but the first run with Smith has a nice sub plot running though out the show and the finally is amazing.